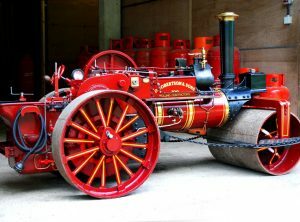 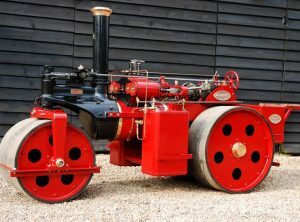 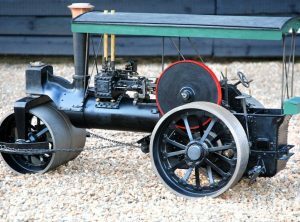 This unique 5″ scale compound steam roller is accurately modelled on the full size engine with a professionally made steel boiler. 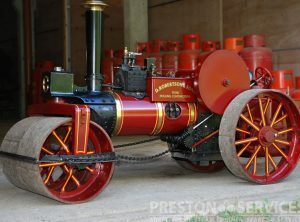 Recently completed, in excellent ‘as new’ condition and for sale with current boiler certificates. 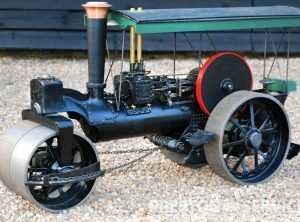 A very unusual miniature, this is based on Garretts first design of single cylinder steam roller and is believed to have been completed in 2006. 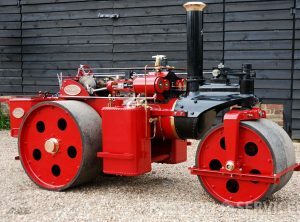 With a professionally made steel boiler, this engine is built to a high standard, and is for sale in excellent condition with current boiler certificates.